Rotterdam, The Netherlands got super lit over the weekend. 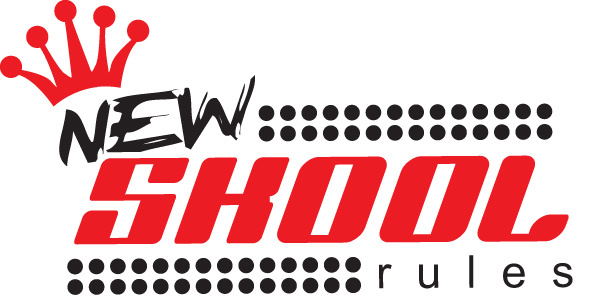 See how lives changed at New Skool Rules 2018! (AllHipHop Features) Some 30 years ago, Public Enemy made a huge statement on their second album, the seminal classic It Takes A Nation Of Millions To Hold Us Back. The 1988 album - often regarded as the best rap album ever - started the audio journey with audio clips of the Chuck D and Flavor Flav-led group performing in London, England. At the time, there was no YouTube, no streaming services, and certainly no internet. However, Public Enemy, one of the first signees to Def Jam Records, was making a huge statement: Hip-Hop is global. the General Manager of Warner/Chappell (Canada), many among others. New Skool Rules is the brainchild of Henca Maduro, a Netherlands-born media personality with a deep love of Hip-Hop. After being entrenched in the culture, she decided to create New Skool Rules by bringing people from over 20 nations. From May 18-20, the saga continued in Rotterdam. Representatives from Spotify, AllHipHop, Atlantic Records, Universal Records, talent from The UK, United States, Russia, Croatia, Canada, Africa and numerous other places all over the globe. Henca said this year was full of business and learning, a continuation of past conferences. “Seeing the growth in past participants, the smiles on everybody's faces, the notes that were taken and the business that was done, makes me feel like we've had a very successful 6th edition,” Henca said. Others agreed with the founder's assessment. Upon arrival, conference-goers immediately began soaking up wisdom from the likes of Bob Celestin, the celebrated lawyer for XXXtentacion, Tekashi 69 and Desiigner. The panels covered topics like how to get music licensed for TV and film, how to get on various platforms and how to get music on playlists like Spotify. Performers were also allowed to showcase their skills in front of A&R’s, executives and other shot callers that can change careers and lives. And the talent was undoubtedly there. Personally, I was supremely impressed by the razor-like bars of The UK rapper Lady Sanity, who I thought should be “Insanity” since her rhymes were so crazy. Then there was, Ninja Tea, who everybody considers a star that has yet to see the light broadly. Jordaine of Birmingham (UK) evoked a young Mary J. Blige, with raw, unbridled passion. And there were others the the Los Angeles rap crew East of the River, that managed to impress just about everybody. But there is also a special ingredient that makes NSR special. Arlo Maverick, a delegate of New Skool Rules, offered his views on what makes the festival/conference special. I think it's more intimate and more about connecting people," he said. "Another thing too is that the delegates are there for Urban Music. A lot of the other festivals the delegates don't get the music. At lot of other conferences they're there for the big rock or pop acts. At New Skool Rules they are there for Hip-Hop, R&B and Reggae." The event also boasts an incredible party that is anchored by DJ Kingpin, DJ Phat Phillie of Croatia and Mr. Play, a spin master from The UK. The pair concocted a massive party, mixed with old school, true school, trap and even The Electric Slide. Even at the party, work was getting done, said Malida Harry, an artist manager based in Amsterdam. “Everyone at NSR is so approachable that it no longer feels like you’re networking. Most of the people I met became like family and I genuinely hope they achieve huge successes in their work,” she said. The Saturday night events do not stop work from getting accomplished on the last day. The various provinces of Canada were well-represented until the very end, as the government is very active in cultivating the arts. D.O. Gibson helmed the coveted “Canadian Blast,” now a yearly Hip-Hop fixture at New Skool Rules. This year’s attendees are already looking forward to 2019. Yusuf Muhamed, of the famed Atlanta-based A3C festival, said "New Skool Rules is the best blend of talent, great vibes and music. As someone who attends festivals/conferences often, NSR is one of the best." Here are some of the other comments from industry professionals. "The culture at New Skool Rules is unlike any other, they truly care about giving talent the best platform to showcase what they got. It’s one of the best places to discover international talent! "New Skool Rules: a place where the independent up and coming can get knowledge, network and tap into fresh new talent from all over the world. A place where producers, writers, singers, rappers can be free to express their individuality. New Skool Rules is now the college of the music industry." "NSR is definitely a platform for creative's who want to understand the business of music while also developing themselves as an artist. NSR is well organised 3 day event talks to the heart of talented and creative individuals which gives you information and 'gems' that cannot be found in a textbook."